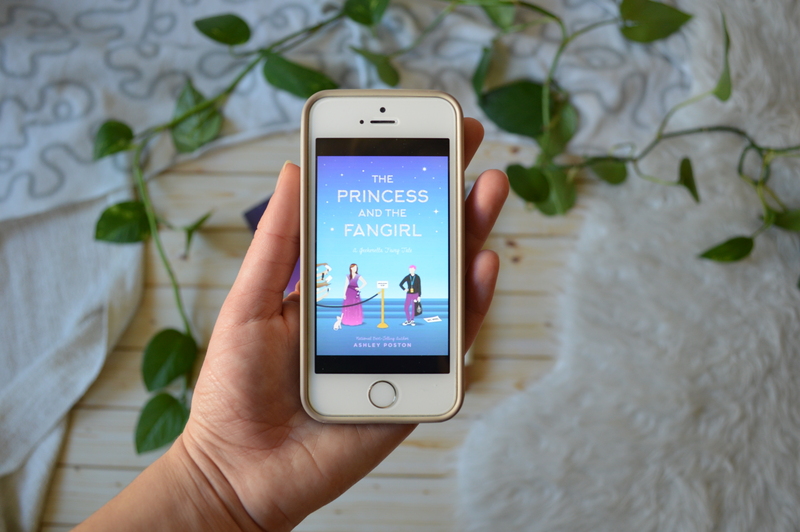 Thank you to Quirk Books and NetGalley for providing me with a copy of The Princess and the Fangirl. Oh wow. Wow. This was amazing. You know how it is always a problem to write a review for a book you really, really loved? Because there were so many great parts and they were great because… yeah well, you liked them? Because right now I am definitely at that point. I loved everything about that book and even though I just finished it, I want to read it again. I guess the main characters are always a good place to start. So, we have Imogen. 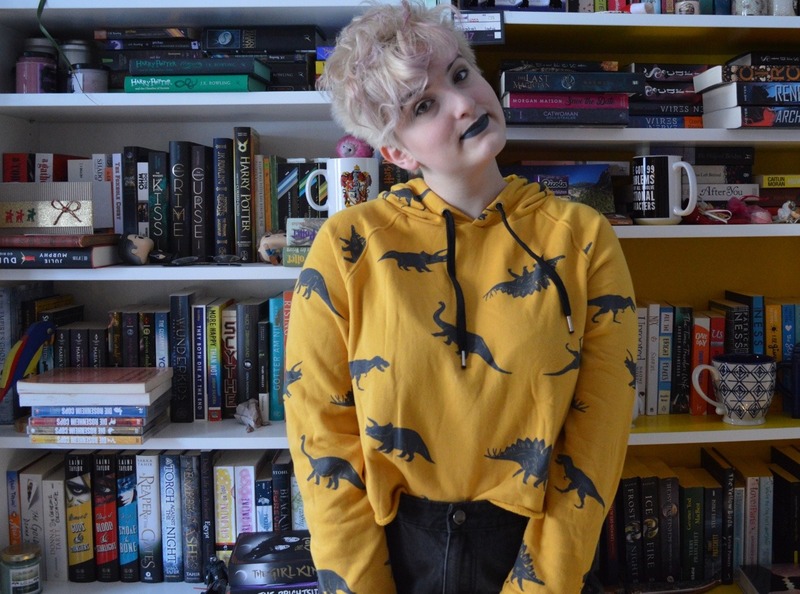 She is loud and fun and sarcastic and fangirl through and through, especially when it comes to sci-fi. Imogen often thinks she isn’t enough, no matter what she does, but nevertheless she is doing what she loves and nothing can get in the way of that. When she is passionate about something, she stands behind it. And I really like how she develops during the story, how she grows and makes important realizations about herself and her life. Then there’s Jess. In the beginning, I didn’t like her chapters that much. I didn’t like her much. But the farther we get into the story, the better I liked her. Actually, she is pretty coll from the beginning, but some of the things motivating her are only revealed later in the book. Jess seems to be colder than Imogen and to only think about her career. But the few days at convention show her that there is more in life and that makes her more confident and accepting towards herself and others. And she likes girls! Her sexuality is never clearly defined but she definitely likes girls. The supporting characters were amazing as well. I mean there are Imogen’s cool but weird lesbian parents and her younger gay brother who is so fun and amazing and such a good brother. I loved his relationship with Imogen, as well as their relationship with their parents. The four are an amazing family and they are written so lovingly. Then there’s Jess‘ best friend/assisstant Ethan who is very much a nerd, but doesn’t always show it. And he is just the cutest. Of course I also need to talk about Darien and Elle for a second because I love them and they’re still the super cute couple from Geekerella. The plot itself was fun as well. It is a retelling of The Prince and the Pauper, but at a convention! With fandoms! And diversity! And love and fun! It was surprising, I did not expect some of the things and it was really fun reading about the characters getting into new situations and trying to make the best of it. 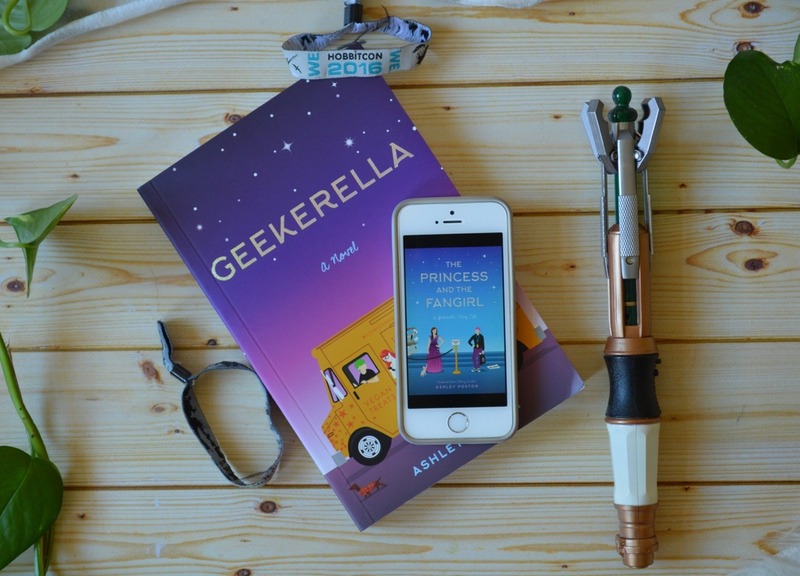 The book was so warm and full of fandom references and just love for all the geek stuff, my heart couldn’t take it. I have to be honest and say that I cried. Because I loved it so much, that story of fandoms and fame and wonderful friendships. It described that special convention feeling so perfectly. If you’ve ever been to a convention of something you really love, you know that feeling. It’s like coming home and knowing everyone even though you’ve never met anyone there before. And Ashley Poston not only captured that feeling, the book itself made me feel like this. 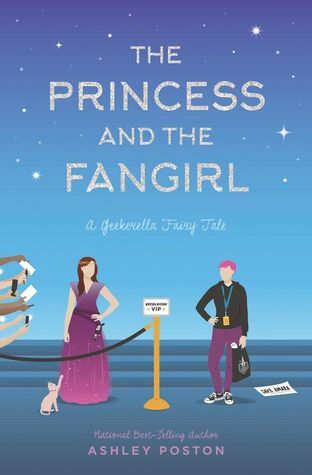 This is the perfect book for any fangirl.